Oceanside has many gated communities located throughout the city. Located on the beach front is a gated community called "St. Malo." This is a collection of Tudor style homes that occupy a small section of land on the southern most point of Oceanside. Not all homes are located on the beach as the communities stretches inland for a couple of streets but by far is the most expensive gated community in Oceanside. Another St. Malo community called "St. Malo Village" is a gated neighborhood on the ocean side of the 5 freeway and is a small collection of Tudor style homes that were built in the 1980's. These are mainly single level homes located about 4 blocks to the beach. On the non-oceanside there is another St. Malo community called "St. Malo Heights." Similar in theme to the other two St. Malo communities, the homes are located high on a hill and overlook the ocean. 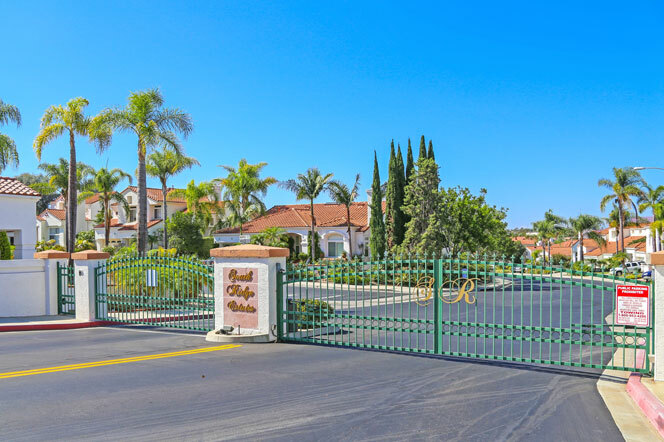 Other notable gated neighborhoods include South Ridge Estates and Ocean Hills Country Club in the Ocean Hills area of Oceanside. The Ocean Hills Country Club is an active adult 55+ community that gives residents a full service resort-like environment. Smaller gated neighborhoods include Alacima in the Rancho Del Oro area as well as Sierra Ridge and River Ranch in the northeast section of Oceanside. We have compiled a list of all these homes located in a gated neighborhood. Please contact us with any questions.